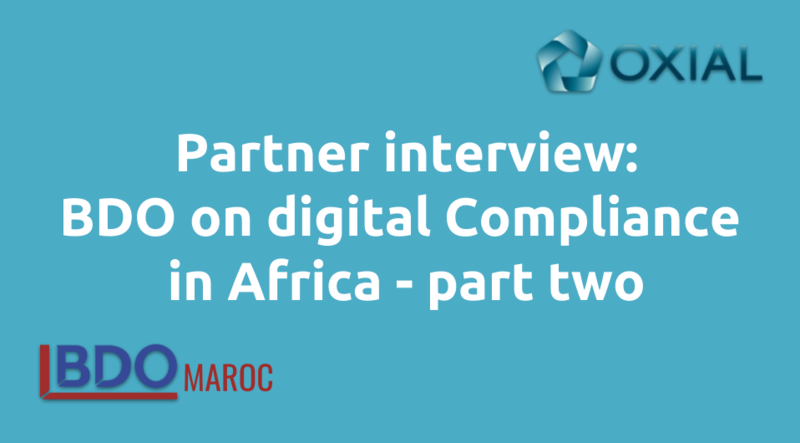 In the first part of our interview with Zakaria Fahim, the Managing Partner & Head of Advisory, BDO Morocco, we discussed some of the challenges African companies are facing around risk management and compliance. Zakaria explained how the complexity of modern compliance, combined with a lack of tools and the wrong approach was spurring African companies to look to external support when managing compliance. In this second part of the Q&A, Zakaria expands on that, outlines how the BDO and OXIAL partnership can benefit African businesses and speculates as to what the future of compliance will look like. We spoke previously about a growing need for digital compliance in Africa. But is that a tough sell to organisations that have favoured a more old-fashioned approach? It can be and certain industries have definitely been slower to embrace digital risk management and compliance than others. Banks have done things in a certain way for a long time, so it can be hard for people within such organisations to get their head around a new approach. But really, this solution is the only one that works. Previously, a firm would make its own risk map and then find a technology partner to digitise this. But this doesn’t really work, digital services need to be embedded in an organisation’s DNA, not added on as a bolt-on. Digitisation is vital to the on-going success of banks in Africa, and indeed businesses in almost every different sector. Managing compliance properly is essential to on-going business success and this requires a digital approach in 2018. Is the partnership with OXIAL going to be beneficial to African companies? I certainly hope so. It really is an essential service and one that I am sure will prove popular with many BDO clients – it enables them to manage risk constantly and be assured that nothing will slip through the cracks. It really is a unique offering for African companies, that combines BDO’s knowledge, understanding and expertise around risk management and compliance, all powered by the automation provided by OXIAL. It is a powerful proposition for businesses in Africa, and BDO’s digitised risk management services has the potential to be a real gamechanger. It works so well because it is not a tool, it’s a service, and it’s one that brings extremely high value to clients. It’s a fully digital solution so fully integrates with, and supports organisations’ digital transformation programs. An IT solution would not work because compliance and risk management are business issues, so the OXIAL solutions is easy to implement and then use. Is compliance getting more complex in Africa? Compliance is getting more involved and complicated all over the world, and African businesses are part of that. We are in a global business landscape, where companies have to be mindful of both national and international compliance requirements. African businesses simply cannot afford to adopt an old-world approach to this. The repercussions are too great. Not just the potential fines and damage to your brand of being non-compliant, but competitors can steal ground on you very quickly indeed. Can the BDO / OXIAL solution affect real organisational change? Zakaria Fahim: Yes it can. Not only is it a solution that guarantees compliance, it can really change the manner and patterns of working. It helps employees in those organisations to upgrade their own role and efforts at work. Our solution can transform day-to-day roles for people in African companies. It gives them the peace of mind that compliance is going to be dealt with effectively and efficiently and frees up their time to be spent more productively elsewhere in the business. There is certain work that is repetitive for a human to do – it is time consuming and tiring which means mistakes can be made. OXIAL does not make these mistakes or get tired, so its automation will make a major difference. Will this one day be the way everyone approaches compliance? The environment is changing and organisations in Africa and the rest of the world need to change with it. Compliance is demanding and complex and some businesses are struggling to adapt. But the BDO and OXIAL service is easy to absorb in terms of finances and people are coming around to accepting such an investment. They know the value it can bring and helps to ensure their competitiveness. But really, the time for action is now, not in the future. For any smart business in Africa there should be no discussion about whether to use such services, it is more of question of deciding when to start. If firms delay for too long they will fall foul of the increasingly complex compliance requirements facing them, and then may eventually pay the ultimate price. 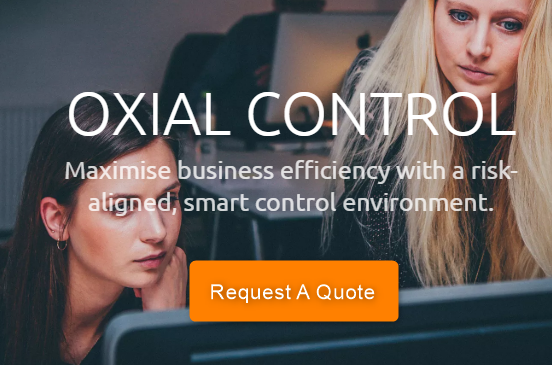 OXIAL’s New Generation GRC solutions are entirely built to address some of the greatest challenges impacting organisations that are faced with Risk Management, Internal Control and Compliance and Audit. OXIAL’s integrated GRC platform enables organisations to become more efficient and effective in mitigating risk by integrating and automating GRC processes on a global scale. Featuring intuitive and powerful tools that make it possible to respond to fast-evolving risk environments, OXIAL makes it easy to synchronise corporate governance, enterprise risk management and corporate compliance activities and undertake real- time monitoring across all business and IT processes and company assets. OXIAL operates globally across multiple industries and meets the needs of over 40 customers who have chosen OXIAL to drive business performance and achieve success.